Hamilton May is pleased to present a very functional apartment available for sale in the Marina Mokotów settlement. Hamilton May is pleased to present a spacious, 2-story house available for sale in the Marina Mokotów settlement - ideal for a family with children. Hamilton May is pleased to present a four bedroom penthouse available for sale in the Marina Mokotów development. Hamilton May is pleased to present a sunny, three bedroom apartment available for rent in the Marina Mokotów residence. 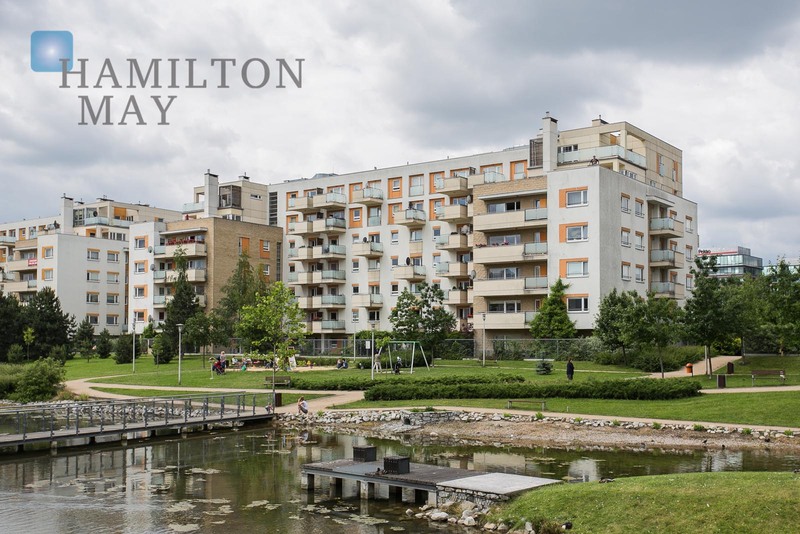 Hamilton May offers a comfortable apartment available for sale in Marina Mokotów settlement. Residential complex Marina Mokotów was designed by APA Kuryłowicz & Associates. Its construction took place in years 2003-2006 and was completed by the biggest polish developer - Dom Development S.A. The complex sits on a 20 ha plot that has been nicely arranged - the central zone is covered in greenery. There is also a pond connected with a park arranged on old fort walls. Alongside the green area residential buildings of differentiated design and character are located. Marina Mokotow is placed in a prestigious location - between the city center and the Chopin Airport, with a convenient access to both. In vicinity there is a Pole Mokotowskie park and metro station. The Galeria Mokotow shopping mall can be accessed by car within 7 minutes. Marina Mokotow comprises different kinds of buildings. The residential buildings vary in size and height - from 3 to 7 levels. There are also semi-detached and detached houses. Property size ranges from small apartments measuring 37 m2 to 600m2 mansions.